I should be able to find one for you. And I think I have one more Atmos with the same issue. I don't know why this really happens, but it's interesting for investigation. I get the same character as you most of the time - this is very odd. Well my Atmos has 8 4164 stylye RAM Chips. I missed that one but thanks for the insight i will keep that in mind for next time. That would indeed be a "printed" copy of the manual. I was hoping somone would have a real circa 1980's manual spare, i will just keep using the PDF version for now until one turns up on eBay. Thanks DBug, I was hoping to get a real paperback one rather than digital. I have it on my Kindle Paperwhite but it's not the same. Been a while since I was on here due to health problems and family bereavement. So apologies if this is in the wrong place. Does anyone have a spare English Atmos user manual they would be willing to part with. If anyone does could you drop me a PM. 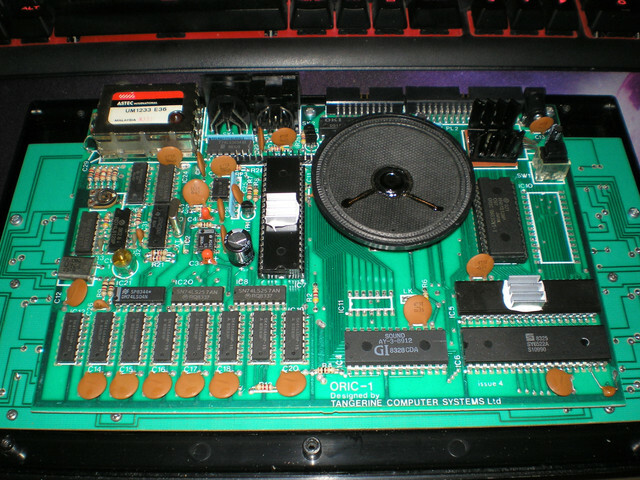 Has anyone fitted a 65C02 in and Oric. I know you can fit it in a BBC Micro and it uses less power and gives some extra instructions - but has anyone done it in an Oric?